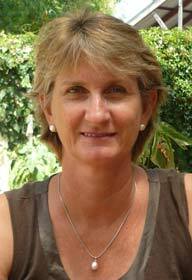 Robyn Carroll is a professor in the School of Law at the University of Western Australia (UWA). Her teaching, research and practice areas include family law, remedies and mediation. Robyn has published numerous articles and book chapters on remedies, family law and mediation and the role of apologies in dispute resolution. Robyn has published articles about mediation of guardianship and administration matters. In 2013 Robyn was a co-organiser of an interdisciplinary forum at UWA titled ‘Health, Wealth and Hearth: Perspectives on an Ageing Australia’ which brought together policy makers, government and NGO representatives, advocates, academics and practitioners from areas including medicine, social work, gerontology, economics and law. Papers from that forum are being prepared for publication. Robyn is also a Senior Sessional Member of the Western Australian State Administrative Tribunal in the Human Rights stream where she conducts hearings and mediations in guardianship and administration matters.